3. Enter the numbers of your width and height. I did width=4, height=6 when I'm dealing with my photos in portrait format (vertical). 5. I just leave the rest alone and it's usually fine (we'll call this your "New Blank Canvas"
Image->Image Size. Under document size: width=2, height=3. Make sure that pixels/inch is set at 300 also or this photo won't "move" to your blank canvas. Oh, if you choose to save these images, do so as a copy or you'll lose your original photo size. I just leave mine and don't save. 8. When done converting your images to 2"x3", click on/select the "move" tool that is on the top right of the tool bar. Then click one of your new mini photos and drag it onto your new blank canvas and position it on one corner then repeat until the new canvas has 4 photos in it. Did I say at the beginning that it's tedious? I'm not sure if there's an easier way. If your photolab has a choice to print wallet size photos then go for that but the one I used didn't so I had to do it this way. If there's an easier way, please let me know!! Check out Collage prints at Walgreens.com!! I think you will love them. 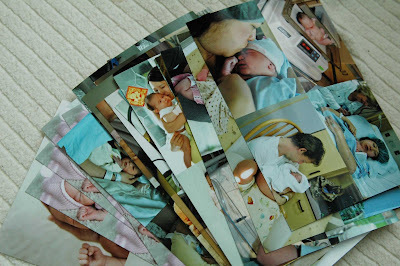 You can get as many pictures as you want on a 4x6 print for 29 cents. Of course, the more you put on there, the smaller they get! So nice of you to post a little tutorial of how you make your mini photos. www.photoscape.org is a free photo editing program and it makes this kind of stuff really easy. you just drag pictures into a template. you are fabulous girl always sharing. You can also use picnik.com that is how I do my collage photos. I agree with John, technologies are moving so fast. Ten years letter I guess it was something really imaginable, but now it's real. Besides, I love such phone apps, because they make it easier for me to promote my photo-works on social media, which is really important for my career. Recently, though I was using www.lightroomextras.com, It's pretty cool as well, you should check it out.